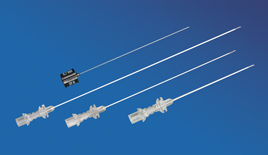 Minta Medical have designed and manufactured high quality CE Marked RF Electrodes since 1988. These include a comprehensive, state of the art, range which are compatible with Neurotherm, Radionics, Baylis (Halyard), Cosman, Smith & Nephew, Stryker, Owl (Diros), Top, Apro Korea and other RF Lesion Generators. 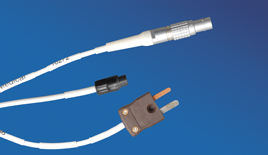 Minta Medical also offers a range of Intermediate (Adapter) Cables to connect to the RF Generators and a confidential RF Electrode design and manufacturing service for RF Generator manufacturers. 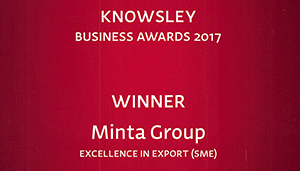 Minta are a progressive company, continually improving their designs and manufacturing capabilities. All Minta products are designed and manufactured at their own purpose built UK site to ensure complete quality control. Minta Medical’s expertise and experience has been vital in the role of being actively linked with Pain Management Research Centres to assist with new innovative devices. Minta Medical are committed to providing excellent service and loyalty for their customers. Minta also ensure cost savings for new customers when converting to using Minta® RF Electrodes. Minta Medical operates to a Quality Management System which complies with the requirements of ISO13485:2016. 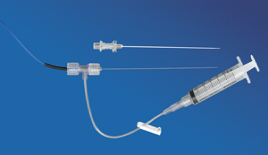 Minta®RF Electrodes meet the provisions of MDD93/42/EEC and are CE Marked and FDA approved. Certification and Traceability are assured with Minta®RF Electrodes. In 1988 Dr. J. Ker of King Edward VII Hospital, Midhurst was carrying out a study into the treatment of low back pain when he approached Minta to ask if they could design and develop a Radio Frequency (RF) Thermocouple Electrode for use in Pain Treatment. 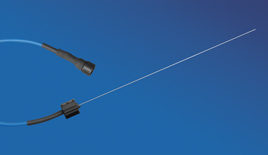 Bob Edwards, now Chairman at Minta Medical Ltd successfully designed a RF Electrode with unique features for re-usable or single-use which, following trials, was used shortly after in the UK. On 29th April 1991 Minta received their Statement of Inventorship from The Patent Office registering the unique features of this Electrode design. Minta allowed RDG Medical, now Neurotherm, the use of their Minta’s Intellectual Property Rights to re-label and distribute the Minta® RF Electrodes worldwide. 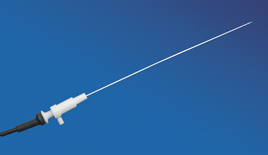 In the year 2000 Minta Medical were responsible for the design of the first ever single use (Disposable) RF Electrode available which was also later re-labelled and sold by Neurotherm. Minta Medical’s Post Market Surveillance records show that Dr. J.C.D Wells estimated that the Minta® Re-usable RF Electrodes could be used over 100 times. However, with the climate of Hepatitis and Aids there was a greater need to protect both the patient and the medical personnel involved, indicating that the disposable (single use) RF Electrode would be the way forward in the UK. 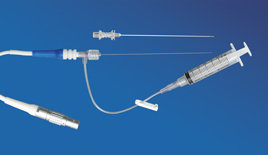 In 2004 Minta Medical released their Disposable Cordotomy RF Electrode with temperature monitoring for mesothelioma pain relief. 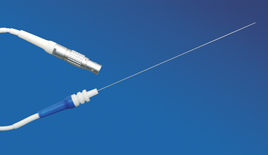 Minta® RF Electrodes have been used by 70% of all UK Pain Management Clinics with various RF Lesion Generators. Since September 2007 Minta Medical were no longer using Neurotherm to distribute their RF Electrodes due to strategic differences between both companies since Neurotherm were acquired by their new U.S. owners Cortec Group. This decision has created the opportunity for Pain Management Clinics to purchase and use the identical design RF Electrodes DIRECT from the UK manufacturer, Minta Medical, with significant cost savings. Clinics using other makes of RF Lesion Generators can also purchase the high quality Minta® RF Electrodes with an approved Minta® Intermediate Cable for safe use with their Generator. Minta Medical have joined together with Pajunk® a leading RF cannula manufacturer to offer Pain Management Clinics the Highest Quality RF Cannula and Electrode available thereby maintaining the exceptional clinical performance experienced with Minta® RF Electrodes over many years. Minta Medical acknowledges with great appreciation the work of Dr. John Ker and Dr. Chris Wells, who in the early years assisted with the testing of Minta’s designs.